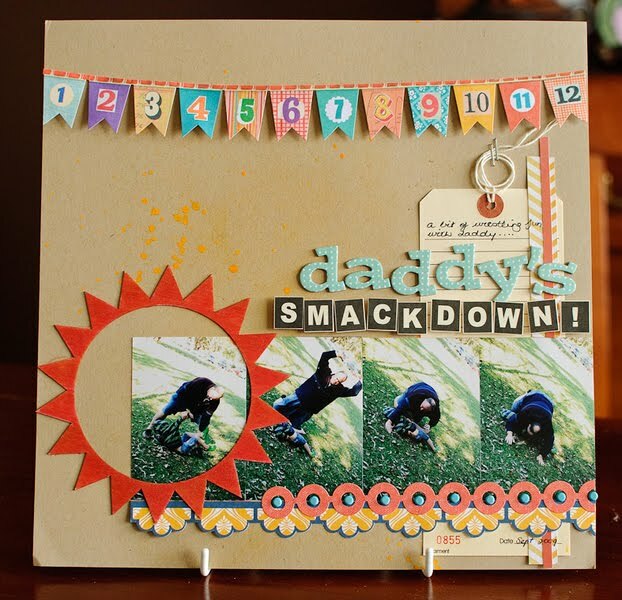 Daddy Smackdown - by KimA > love love LOVE the series of photos on Kim's page, and the bright red veneer sunburst, the dimension that was added to the banner sticker, and the little splattering of mist (which is the perfect background accent to plain kraft cardstock!). 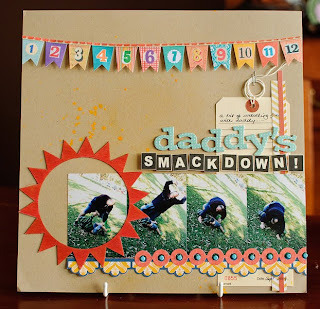 Pa toppen - by SarahDK > i think that Sarah's combo of ripping, punching, layering, & stitching is beyond gorgeous! 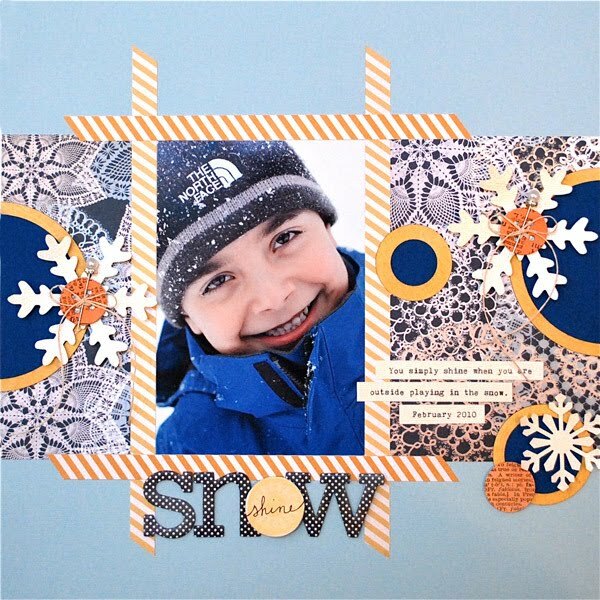 One of my absolute favorite pages of the gallery... and i also love how she covered her chipboard buttons with scraps of patterned paper - so fabulous!!! So those were just a few of my faves this month.... can't wait to see what everyone does with the Joyland kit!!! Susan--great layouts that you highlighted! They each have such a different feel, but still came from the same kit! Just beautiful, beautiful layouts! All of them!! elles sont superbes ces pages !! j'ai hâte d'avoir le kit ! These are great layouts that you posted. Each one has its own character and design! Oh! :) Such cute pages, I love them to bits!